I’ve been working on my next book, The Happy Healthy Nonprofit, with Aliza Sherman. As an individual, to become happier, healthier, it partially rests with your ability to create and stick to new personal habits around self-care. We’ve done a deep scan of the literature on personal habit change, like Gretchen Rubin’s Better Than Before and BJ Fogg’s Tiny Habits and have tested their approaches on ourselves. But as we all know, changing personal habits isn’t easy for a lot of people. And, to sustain happy, healthy ways of working in nonprofits, the burden can’t totally rest on the backs of individuals. Self-care in a nonprofit organization is the responsibility of both the individual staff person and the organization. Organizations must support staffs’ self-care efforts through clearly articulate values, policies, and programs. Even better is to have self-care so finely embedded in the nonprofit’s culture that there is not a need for a separate program, it is simply part of the way the organization works. Organizational self-care must go beyond the individual’s self-care practices and include the creation of happy, healthy work environment and cultural cues where self-care is viewed as part and parcel of the work, not anomaly. Workplace wellness guru Laura Putnam says, “If you don’t have a culture that supports wellness and wellbeing, your program won’t get off the ground.” You need to understand whether your organization’s culture is one where happy, healthy can thrive or will be ignored, or even worse ridiculed. Let’s say that after implementing your own self-care plan, you discover that you have more energy and are more productive work. You are walking more, eating healthy foods, getting more sleep, taking breaks, and have fully internalized the self-care techniques we cover in the first part of the book. But when you come into your workplace, the culture and the environment does not support happy, healthy. For example, the break rooms have vending machines with salty and sugary snacks and the fridge is stocked with sodas, not water. And, people sit at their desks working without taking a break. If you even closed your eyes to meditate for a few minutes, your co-workers would rib you about “new age crap.” For you to keep up your happy, healthy habits, it takes more effort than if your workplace provided the nudges, cues, and well, healthy snacks. Before you know it, your new habits might erode because they become an after work thing. You have probably heard the saying, “culture eats strategy for breakfast” as famed management guru, Peter Drucker is credited as saying. The bottom line is that you want to scale happy, healthy, pay attention organizational culture. 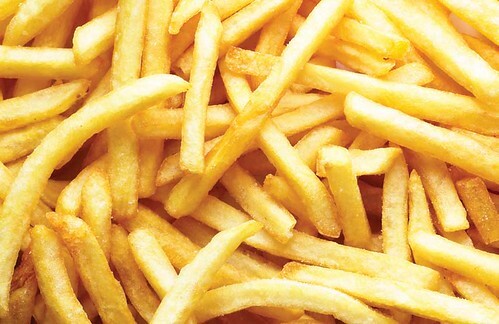 Or there might risks, or to paraphrase Drucker, your organization culture will eat french fries for breakfast. We are looking for nonprofits that have a work place culture that nurtures the health, happiness, and well-being of staff. It goes beyond physical health or a wellness program that focuses on diet, exercise or sleep. But also professional development/career advancement, attention to the work load and realistic expectations, organizational policies around use of technology (like no work emails after 7 pm), or anything that contributes to increasing the energy and productivity of staff. We are also looking for examples of rituals and cues in the nonprofit workplace that reinforce healthy and happy. Maybe it is allowing folks to have standing desks or do walking meetings. Maybe it is healthy snacks in the break room or lunch time yoga. What are the artifacts, cues, and rituals in your work place that nurture healthy and happy? We are also looking for examples where there is a mismatch between the organization’s culture and the value of happy, healthy and of course examples of how leaders have inspired culture change in their organizations. Share your story in the comments or fill out our survey. I love this topic! I worked in nonprofits for most of my career and the pressure to do the most on a dental floss budget is overwhelming. A healthy nonprofit should do more to create a healthier work environment for the people that make that nonprofit run. I can’t wait to see this book! I like your thinking and I want to create a culture of caring, health and well-being at my agency as well. Balance, fun, boundaries and embracing self-care to a point that it is like the air we breath, a given and also necessary for all other components of our lives to move in the right direction. I want to learn more about your book and also everything. June E.
Two organizations immediately come to mind. The National Performance Network, npnweb.org, has a very healthy workplace culture. The Cleveland Public Theatre, cptonline.org, is working hard on this as well. I would love to interview you for the book – and will follow up. Thanks for taking the time to share your experience. i was passed aged in 20 years old. I have high pressure bloods.